This permits the sending of SMS* text messages to 9-1-1 when a voice call is not possible or practical. A voice call made from a wireline or cell phone is preferable but in the event that you cannot do so you can send a Text to 9-1-1. Will it show my location? Can I send a text message from any cell phone? In general, you must have a text-capable wireless phone or device and a wireless service subscription or contract with a wireless phone company. You will also need a "wireless data or text plan." Remember, you can make a voice call to 9-1-1 using a wireless phone that does not have a service plan, but you cannot send a text message to 9-1-1 without a service contract that includes texting. How will I know if 9-1-1 received my text? 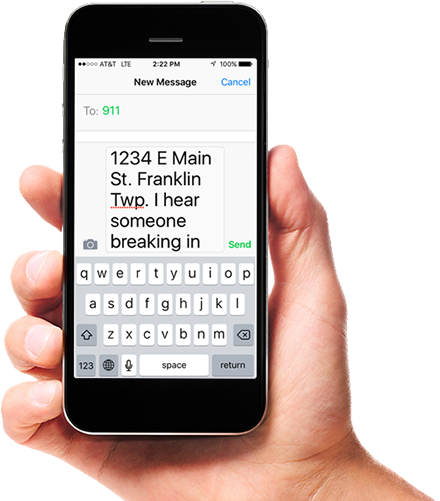 A 9-1-1 call center should respond to the text. If Text-to-9-1-1 is not available, you should receive a "bounce back" message from the wireless carrier stating that Text-to-9-1-1 is not available and that you must place a voice or relay call to 9-1-1. Can I text-to-9-1-1 in languages other than English? The preferred language for texting to 9-1-1 is English. Translation services are not available at this time and any text to 9-1-1 call placed in New Jersey should be in English. The four nationwide wireless providers (Verizon, AT&T, T-Mobile and Sprint) have the service on their towers throughout New Jersey. If your wireless device connects to one of these towers you can Text to 9-1-1. The service is also available in some surrounding states. If your device connects to one of these towers your message will be received by a 9-1-1 call center outside of New Jersey. How will I know if the service is not available? 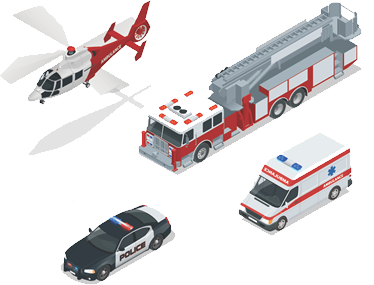 Which wireless providers offer Text to 9-1-1 service? Currently the four major providers (Verizon, AT&T, T-Mobile and Sprint) offer the service in New Jersey. If you use a different provider, check with them to see if Text to 9-1-1 is available to you. SMS (short message service) is a basic form of texting. It is limited to 160 characters. 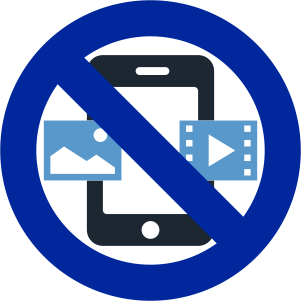 DO NOT send pictures, videos or use Emojies. The message can only be sent to one recipient.